NAMMA is an ecumenical, Christian association of individuals and affiliated organizations involved in maritime ministry throughout North America, including the United States, Canada, Mexico and the Caribbean. Founded in 1932 as the National Group of Seamen’s Agencies, it was renamed NAMMA in 1991. 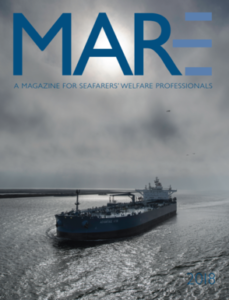 Its mission is to provide a framework to support and assist port chaplains and others in their ministry to the spiritual, moral, human rights, and physical concerns of mariners and all others in the maritime community. NAMMA helps equip port chaplains with the resources needed to carry on their ministry. It acts as a consultant and coordinator for services and training, as well as providing standards for these services. NAMMA includes many ministries from a wide variety of denominations, as well as the maritime ministries of North America. NAMMA’s affiliated agencies include 55 maritime ministry agencies and approximately 100 Member chaplains. NAMMA serves as the North American region of the International Christian Maritime Association.